Leave at your leisure for the 34nm to Port Orchard. The cruise Directors will be providing dinner that evening. We will provide plates and napkins. Bring your chairs, eating utensils, and beverage of choice. There will be an informal cocktail hour on the dock at 1700 hrs with dinner at 1800 hrs. It is a short 28nm to Tacoma. Anyone who wants to meet on the dock for cocktails at 1700 hrs is welcome. Dinner on your own. Doris Guillien and Kay Brownwood will be assisting the Cruise Directors “cooking breakfast in a bag” on the dock Thursday May 17 at 1000 hrs. The balance of the day is your call. There are many things to do such as the LeMay Car Museum, Museum of Glass, Tacoma Art Museum and the Washington State History Museum. There are various restaurants within walking distance or choose to have dinner on your boat. 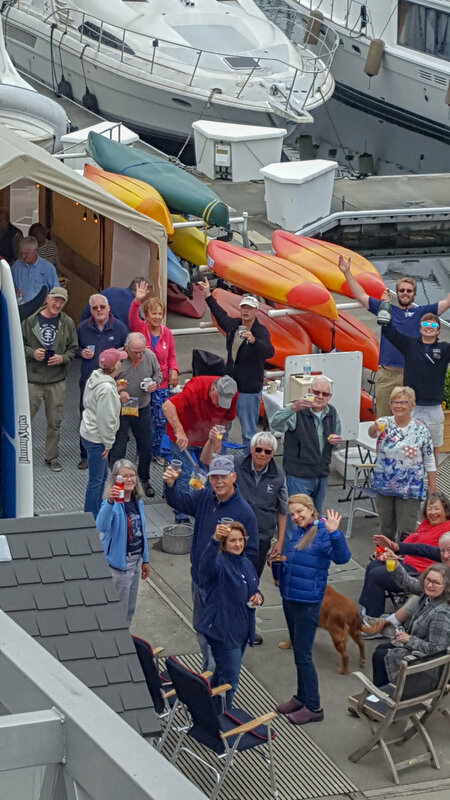 The Tacoma Dock Street Marina has asked that we all depart before 1200 hrs for the 33nm trip to Olympia. The Hearthfire Grill is a short walk from the dock or feel free to cook on your boat. Saturday enjoy the Farmer’s Market. At 1700 hrs we will meet on the dock for drinks. Bring an appetizer to share from our shopping at the Market. 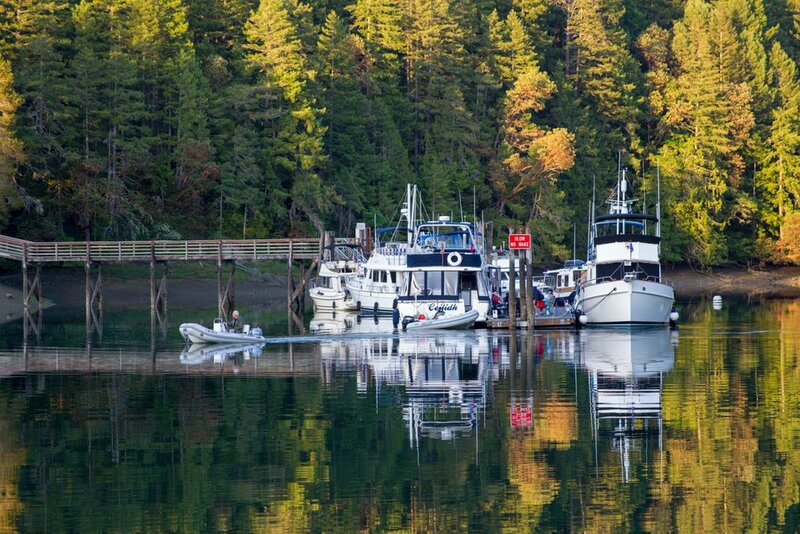 Enjoy the beautiful scenery for your trip of 19nm to Jarrell Cove. Sunday you are on your own. There will be an informal cocktail hour at 1700 hrs on the dock. On Monday, we are planning on a potluck picnic lunch at the park at noon. Bring something to share, along with your chairs, utensils, and beverage of choice. We will have some lawn games so be prepared for some fun and smack talking. This is our last stop before returning to Port Ludlow. It is approx. 28nm to our destination. The marina has asked that we do not arrive before 1300 hrs, so take your time and enjoy the trip. You are on your own for dinner. There are many restaurants to choose from. This is the longest leg of the cruise, 44nm. Have a safe trip home. Tacoma Dock Street Marina- 253 250-1906. Slip rates are $1.25/foot for 61 feet or less. 30 amp is $3/night, 50 amp is $5/night. You need to call the marina directly for reservations. Need to check out before noon. 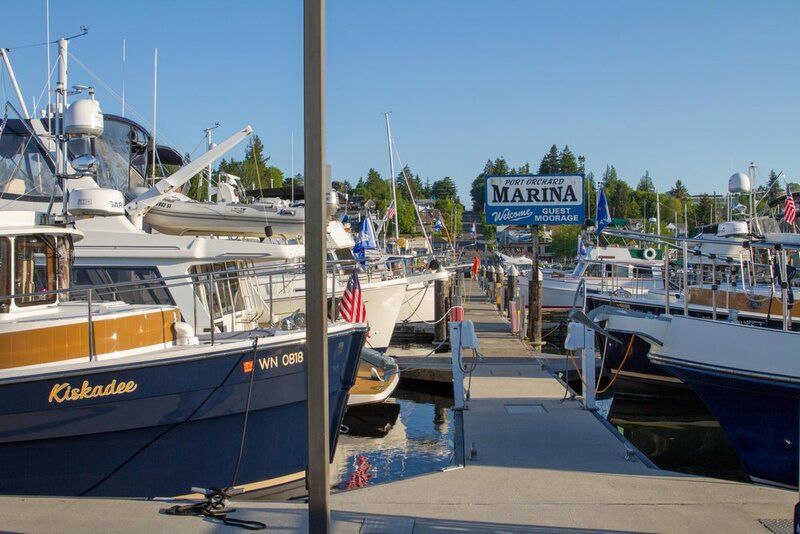 Olympia Swantown Marina- 360 528-8049. 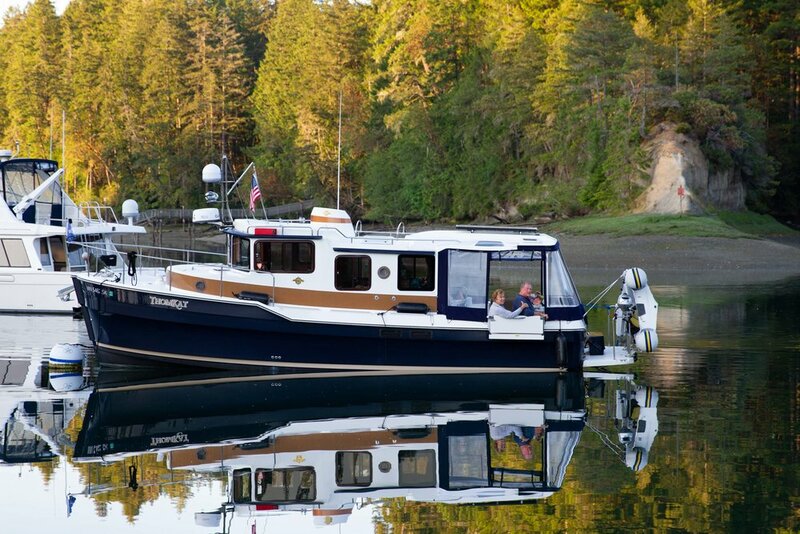 The club will reserve slips, but you need to call the marina to make your own reservations. The club has paid the non refundable $5 reservation fee. Make sure the marina does not charge you an additional $5 Fee. Jarrell Cove on Harstine Island- This is a Marine State Park, and is first come, first served. There is a linear dock of 650 feet along with 14 mooring balls (45 feet and under). There is also room to anchor. If you are a larger type boat you can tie up to the dock at the pump out station. 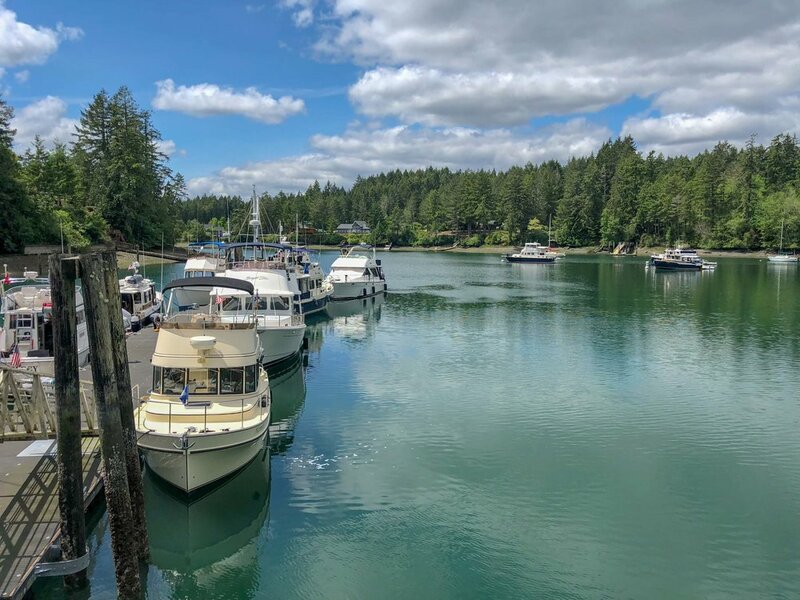 Gig Harbor Arabella’s Landing- 253 851-1793. Rate $1/foot. PLYC members need to call the marina directly to make reservations.